We need to find that bomb. 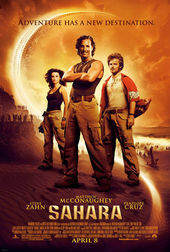 Even though it was panned by critics, disowned by the original author, and a box office failure, Sahara has a beautifully-executed single take motion-control camera opening that details the hero's history. It also bears a striking similarity to Delicatessen's opening montage.